Built 1913 by Jémenez. Named in honour of the Spanish novelist, playwright, and poet Miguel de Cervantes Saavedra (1547-1616). Closed. 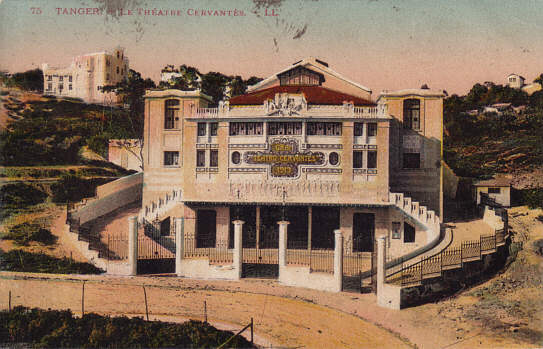 Front Text: "Tanger - Le Théâtre Cervantès", inscription: "Gran Teatro Cervantes 1913"